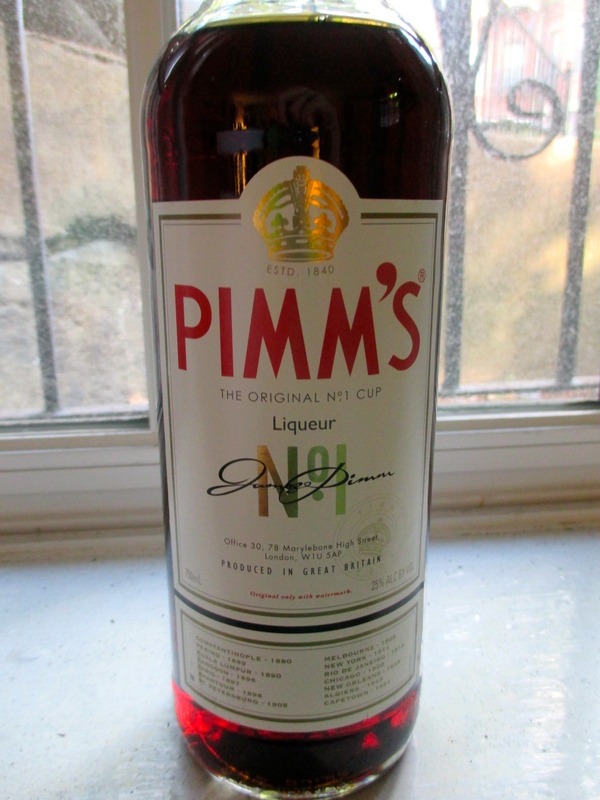 Pimms: a British, gin-based liquor with notes of citrus and spice. 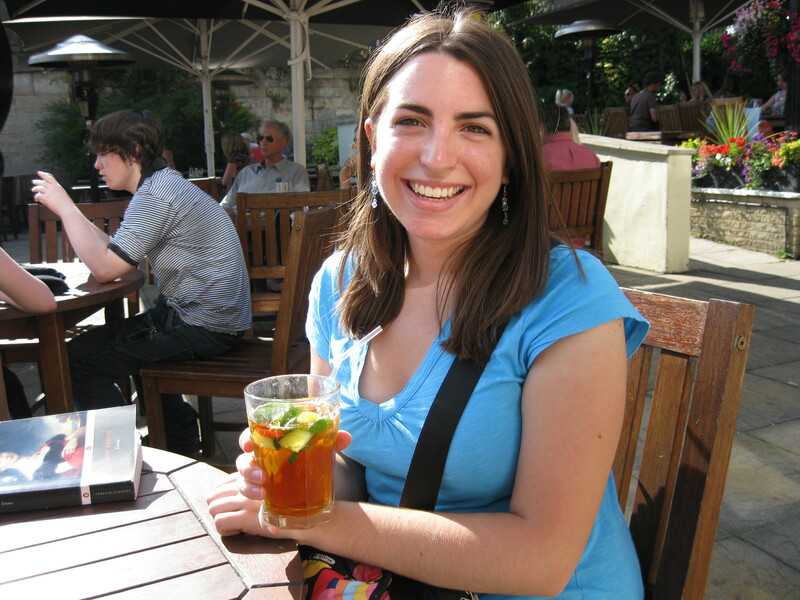 I studied abroad in Oxford, England from July – August of 2011. Freshly 21, I was eager as can be to find my favorite drink in England. The minute I arrived in the city of dreaming spires, I discovered Pimms and Lemonade, or just “Pimms” as it is ordered in English pubs. Pimms and Lemonade is a quintessential summer drink in England made from mixing Pimms with lemonade, fruits, and mint. If you are served Pimms in England, you will find it to be a rather fizzy concoction since the English consider lemonade to be bubbly. In most pubs there, lemonade is similar to Sprite, though it is made with a different sweetener. Pimms brings me back to Oxford in an instant. On weekends, my classmates and I would go to pubs in town (Turf Tavern and Head of the River, to be exact) and order a pitcher of Pimms. Just as colorful as it is refreshing, Pimms and Lemonade will surely add a bit of freshness and vitality to your midday brunch or evening happyhour. Mix the Pimms, lemon soda/lemonade, fruit, and mint together in a glass. If you are making a pitcher of Pimms, multiply this recipe by however many guests or drinks you will be serving. Pour into a glass with ice and enjoy! Several restaurants in the area serve a Pimms cup with Ginger Beer, Cucumber Gin, or a similarly flavored vodka. This is one of those recipes with which you can play around and experiment. See what works and tastes best for you. The above recipe is the traditional way to make it, the way I remember savoring it in England.